This heavy duty Pacplus tape dispenser is an excellent piece of equipment suitable for industrial businesses. Designed to hold 132 metre tapes with a 75mm core it is ideal for taping up the likes of cardboard boxes. Designed to be strong and durable the dispenser is made from high quality materials for a professional and dependable finish. A metal adjustable brake makes it easy to control the speed of the tape and a moulded handle makes it easy and comfortable to hold. 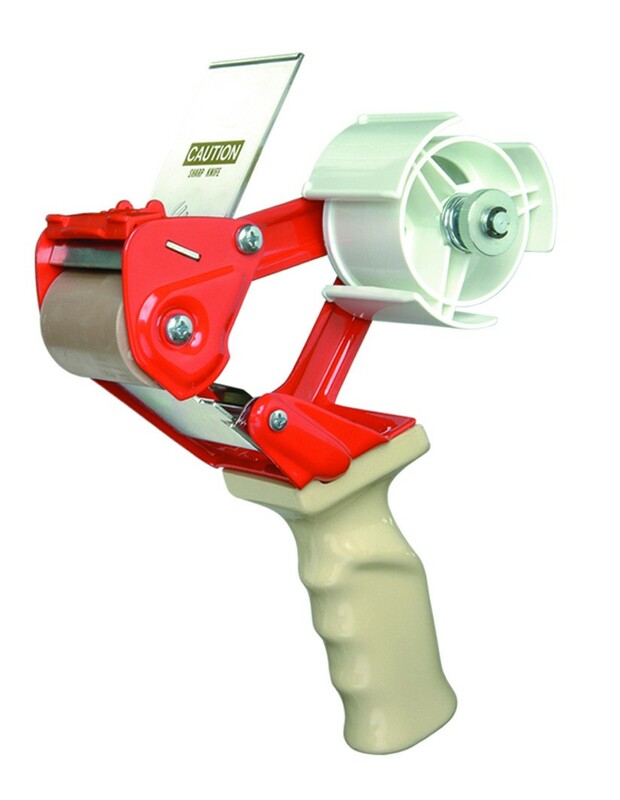 The blade of the dispenser can be replaced with ease to allow the effective cutting of the tape.